“Compact Volume Panel” is one of many features/tweaks in my Xposed module (since version 0.4.3 this tweaks is compatible with TouchWiz devices running Android 6.0). This particular tweak trims down the size of the system volume panel. 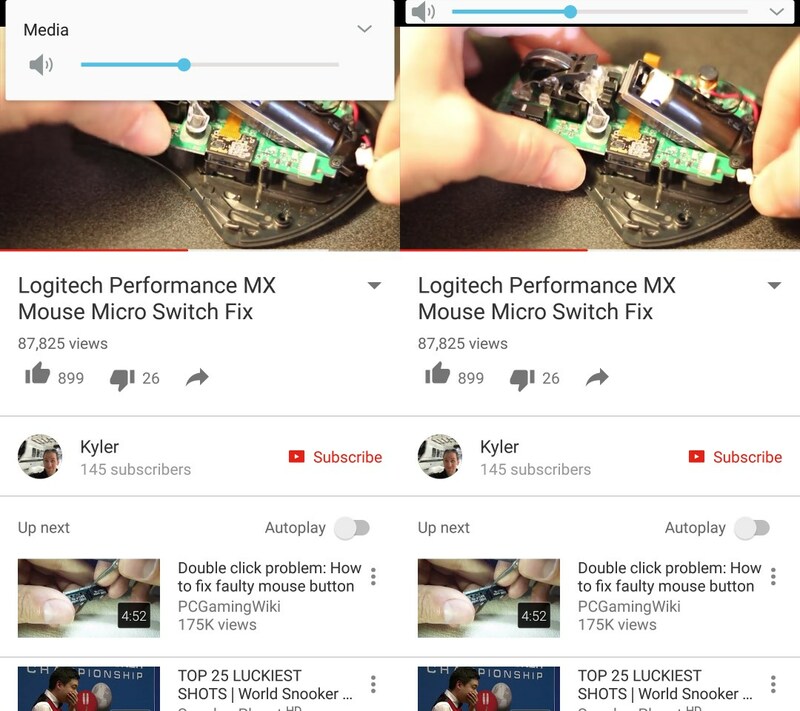 As you can see on the screenshot of Youtube (before and after), it gets rid of all the white space covering one third of watched video. There’s one downside though. If you expand the volume panel to see all (four) volume streams, there are no text labels next to them. Unfortunately TouchWiz uses the same icons for all volume streams (icons are different on CyanogenMod). There are ways to customize the volume panel in similar way even without Xposed or root (like Noyze or SoundHUD) but it requires background running service so it won’t be as power efficient as using this tweak.